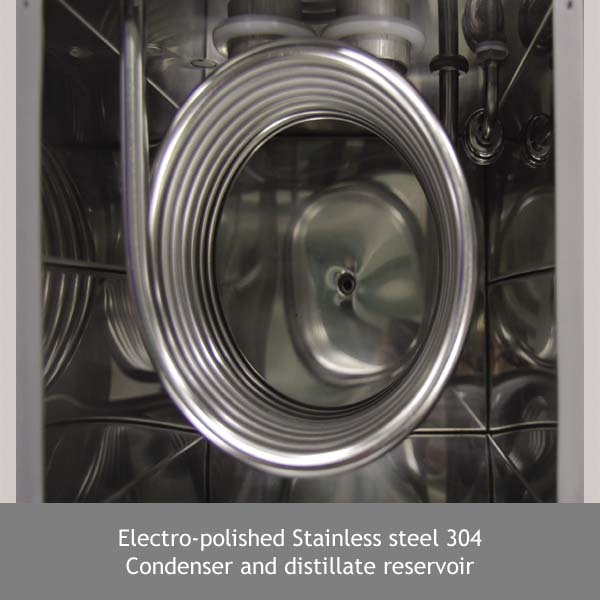 Specially designed distilled water condensing system drastically enhances productivity of distilled by reducing steam loss and longer steam contact to condenser. 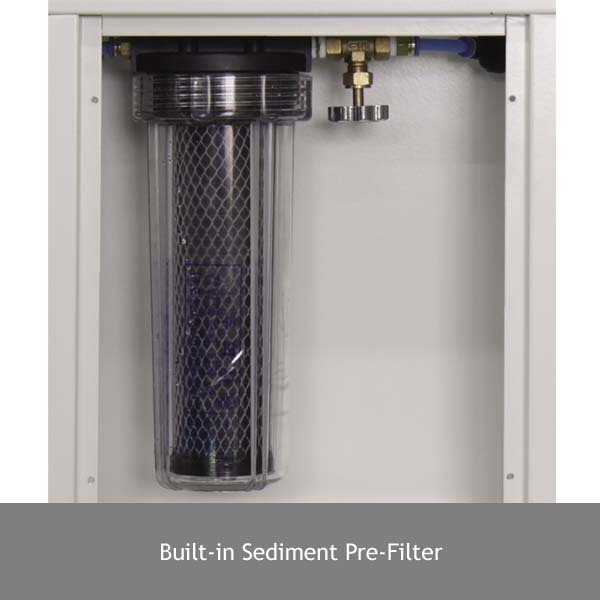 Easy to replace built-in prefilter can be chosen from sediment filter, carbon filter or ion exchange filter depends on quality of supplied water to reduce calcification of steam generator enables free from maintenance. 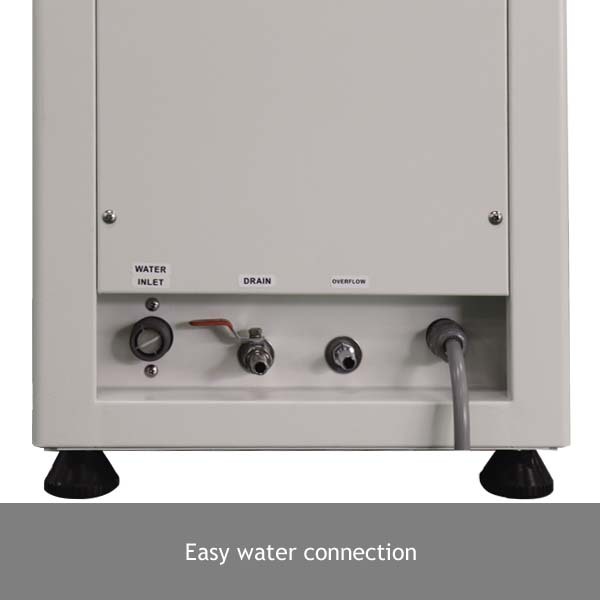 Built-in distillate storage reservoir accepts double hourly capacity of the water still. 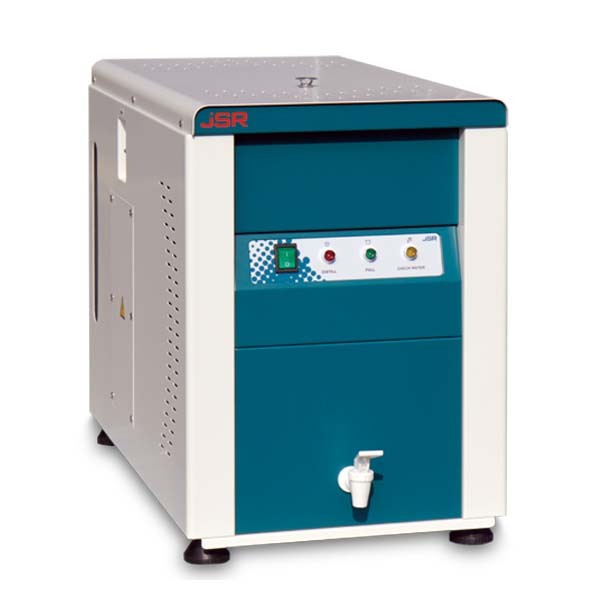 All models have successfully proved in every-day laboratory routine.